We offer products that will give you realistic and beautiful results and not break your budget! You dont have to be a professional artist, just have a little imagination! I'm Dugan and I have had a passion for modeling of one form or another for most of my life. Fifteen years ago I started a 4x8 model railroad and when realistic scenery items weren't easy to find or affordable it was time to start creating my own so Kendra and I started making trees and other items. We then needed to find an easier and lighter weight product than plaster to model with. 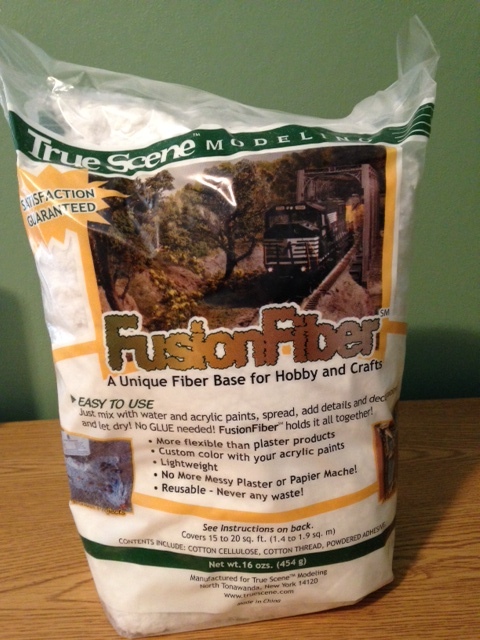 Fusion Fiber was what we found, an excellent lightweight product that is easy, clean, fast and fun to work with. Now the products are so good and easy I've started a whole new 16' x 20' HO scale layout and we offer these products to you at affordable prices and we provide custom building services for entire layout's, or small diorama's. Please visit our site often as we will be adding new products, demonstration video's along with video's of the new layout to share with you.